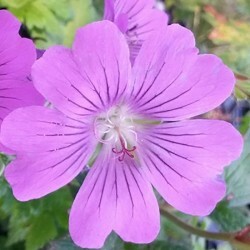 Geranium 'Lilac Ice'® (Géranium) Geraniaceae Hybrid wallichianum as Geranium Rozanne, just as long floriferous. 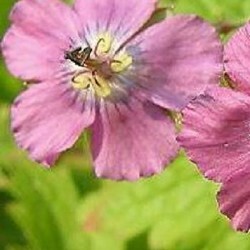 'Lilac ice' gently plays in a pastel pink / pale lilac. compact port. Deciduous. Massif, hotpots. Any good garden soil drained. 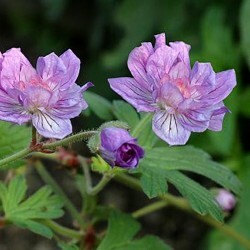 Geranium 'Nimbus'(Geranium) Geraniaceae From the crossing of g.collinum and g. Clarkei kashmir purple, geranium that abundantly produces large flowers (2.5cm) blue purple veined with purple. Beautiful deciduous cut. Good soil preferably fresh garden. Dexception a geranium in bloom from june to frost. Large blue flowers veined with purple wide white heart. To install both the garden quen hotpot or he wonders. Any good garden soil. G crossover. 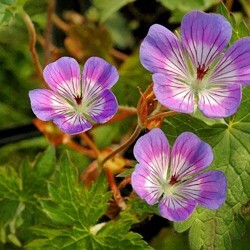 Gracile and g. Ibericum, this sturdy geranium broadleaf little cut, gives many finely veined purple flowers. Any soil well drained, even rocky, in full sun or partial shade. 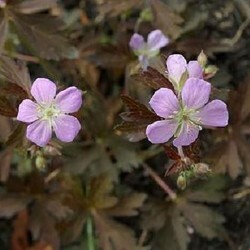 Cross between peloponnesiacum and geranium geranium renardii, this new hybrid is very floriferous and can bloom again in the fall. Intense blue flowers veined with purple. Evergreen. Fees drained soil. New variety. 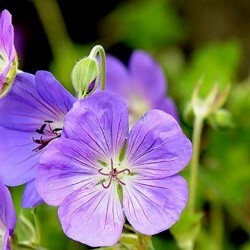 Near geranium rozanne, he sen distinguished by large flowers in shades of blue, violet, purple and pink to purple veined white heart. Abundant and long blooming. Rich soil and fresh. Beautiful species which forms rounded clumps regular, foliage (void) cut into deep lobes. Flowers sleek, white delicately veined pink. 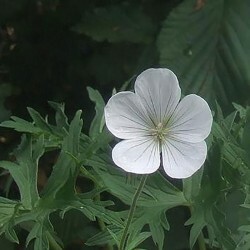 In my opinion one of the finest white geraniums. Rich soil and fresh. 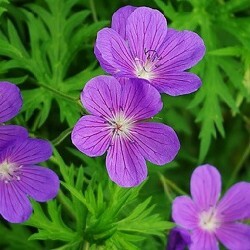 A precious geranium with beautiful double flowers, blue violet. Continuous flowering. 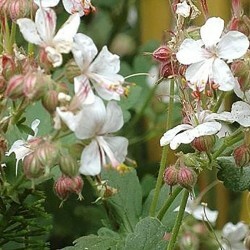 A soil rich in plant and consisting cool in summer but in winter drained. First lilac pink flowers variety whose foliage is bronze laspect chocolate leather. 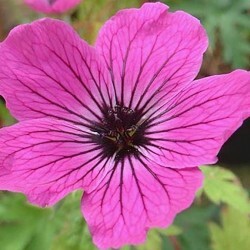 Strong and generous flowering cultivar. 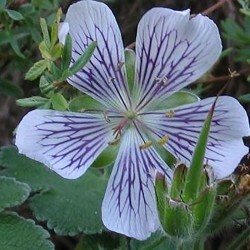 Easy to grow in sun or part shade. Superb ground cover immaculate white flowering. Foliage soft green semi-evergreen camphor smell. 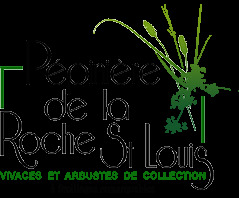 Ideal to garnish the foot of trees and of shrubs. Tolerates drought.